For those looking to make their camping sustainable, they would need to ensure that the gadgets they take along are eco-friendly as well. Accordingly, here are some awesome solar powered camping gadgets that you simply cannot do without while on a camping trip. You can lay this simple, lightweight and extremely flexible solar charger flat or attach it to your backpack or tent to absorb solar power. 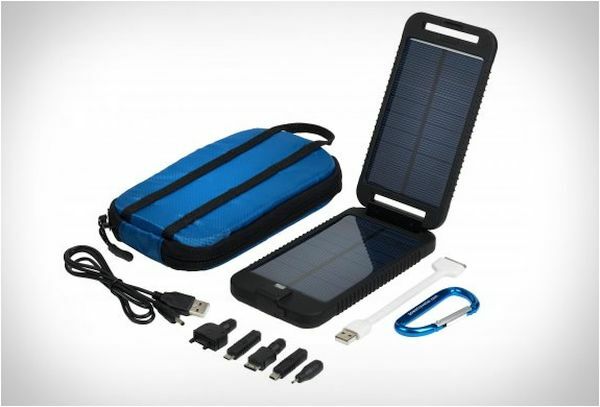 It comes with polycrystalline solar panels and a five-pronged USB cable to charge four gadgets simultaneously. You can also turn it into a solar powered flashlight by adding a 3-Watt LED light. When not needed, you can simply roll it up and pack in your backpack. This solar powered gadget is an excellent multi-tasker. The gadget doubles as a LED flashlight and triples as an AM/FM/NOAA weather band digital radio. It also acts as a charger for mobile phones and other electronic gadgets. Another added functionality is a bottle opener. 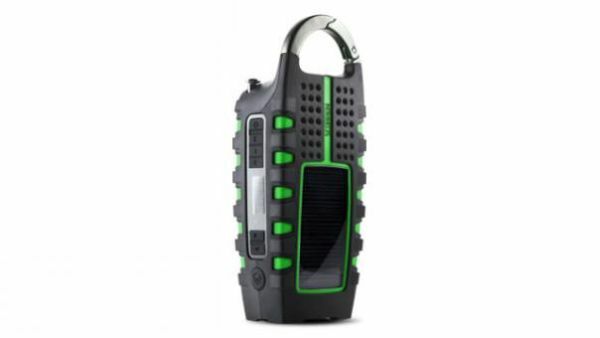 The splash-proof design allows you to clip the gadget onto your backpack. 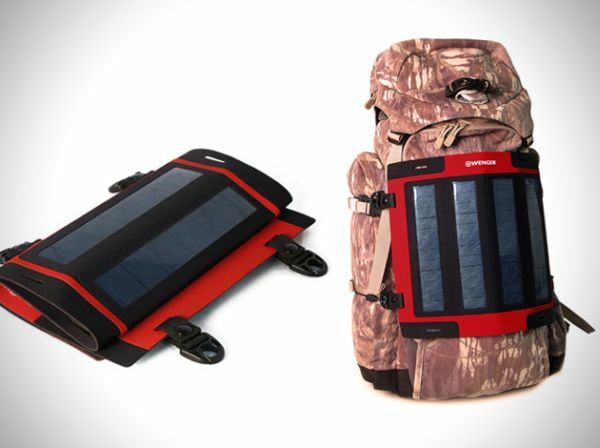 This rough and tough solar gadget is just what you need for those rigorous camping trips. It is shock and water resistant as well as extremely lightweight, so that you can easily carry it around wherever you go. An eight-hour solar charge can let you charge at least three smartphones simultaneously and other devices like iPads, laptops, etc. This cool solar powered gadget will let you enjoy a nice warm outdoor shower wherever you want. Simply fill the bag with water and keep it out under the sun to absorb heat. Then you can fit a showerhead to the bag and hang it up on a tree to enjoy a warm shower. The bag also includes a soap/shampoo storage pocket as well as a temperature gauge. This cool and innovative gadget performs the dual role of a water bottle and a lamp. 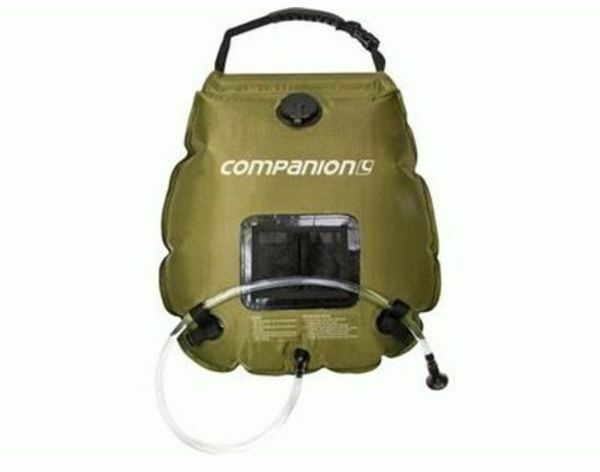 You can easily fit it into any bottle that you carry on your camping trips. Simply place the bottle out in the sun during the day to absorb solar energy. 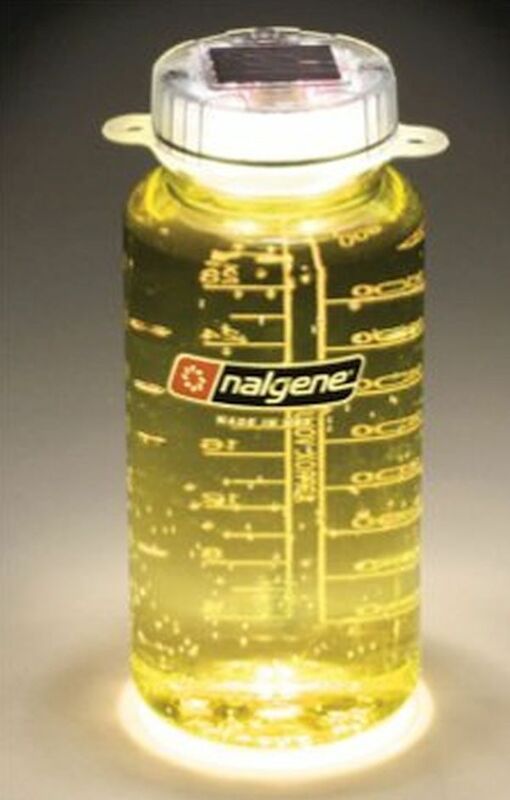 At night, four bright LEDs fitted on the lid will illuminate the water in the bottle, thus transforming the latter into a bright lamp instantly. An auto daylight feature allows the LEDs to switch on automatically when it gets dark outside. A camping trip is never complete without a few essential carry along gadget. These functional yet eco-friendly gadgets can be the perfect choice to make your camping or traveling cleaner and greener.